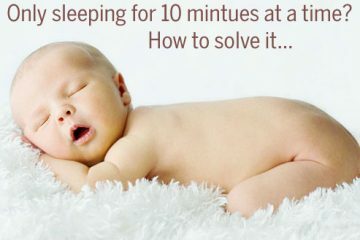 Wouldn’t it be great if someone could tell you exactly when your baby is going to sleep through the night? Unfortunately, all babies are different and can start sleeping through the night anywhere from a few days old up until the second birthday (and on rare occasions unfortunately even longer than that). What does the average baby do? And what exactly is ‘sleeping through the night’ defined as? What Does the ‘Average’ Baby Do? 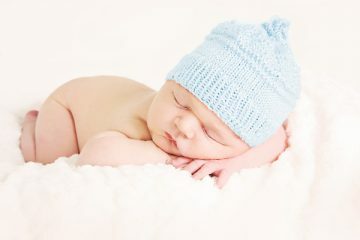 The average baby will start to extend their night feeds at around 6 to 7 weeks old, and may reach the ‘sleeping through the night’ milestone between 8 to 12 weeks of age. Let’s clarify what is meant by sleeping through the night. Most child health experts say that sleeping through the night is defined by sleeping from a bedtime at between 7-8pm through to the first morning feed at around 5am. This can include a dreamfeed (or roll over feed) at 10-11pm. Some babies will return to sleep for an hour or so after that first morning feed. This usually means 5-6 hours of continual sleep for mom. This is hardly a full night’s sleep for mom, but it is certain progress from getting up every few hours and most new moms say that when they can get at least 5 hours of straight sleep they start to feel better and the symptoms of sleep deprivation start to get better. What About the ‘Non-Average’ Baby? 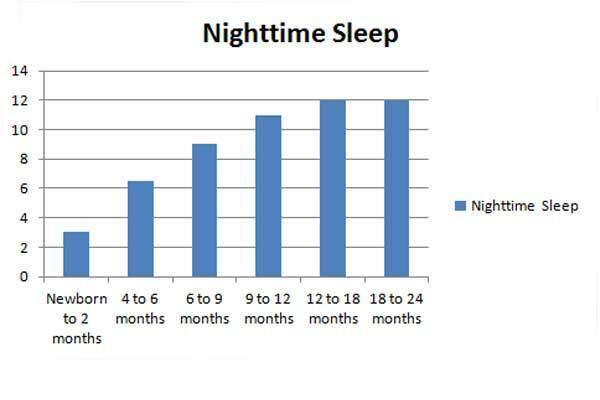 Lots of children continue to wake once or more per night until around the age of two. While not exactly a parent’s best scenario, it is not abnormal. However, just because it is not uncommon does not mean there is nothing you can do about it. 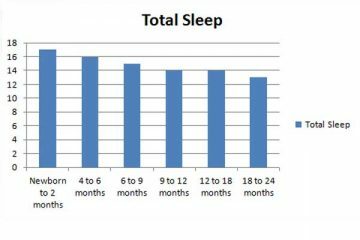 Babies that continue to wake of a night past the age of 9 months usually have some form of sleep association or learned behavior. Up until the age of 9 months some babies can genuinely need a feed (particularly if the introduction of solid foods is delayed), however after this time most babies are taking solids and there is no reason for them to wake up hungry in the middle of the night. By nine months of age the dream feed (or rollover feed) can be dropped and any night waking issues can be addressed, and in most cases, solved.